Hello and welcome! I’m Jennifer Bramseth, author of small town contemporary romances and cozy mysteries set in the Land of Bourbon and Bluegrass. I am a native Kentuckian and life long resident. I am inspired by where I live and hope that feeling is manifest in my stories. The Bourbon Springs Series is nine books long. Click here to see the reading order for all my books and stories. One of my current series is Bourbonland, a connected-world contemporary romance series to Bourbon Springs. The newest Bourbonland story is White Dog (Bourbonland Short Stories and Novellas #6). The next Bourbonland story, Blissful Thinking, a lengthy novella, releases May 14, 2019. This is the wedding story of Maisie and Cord (the couple from Where the Fire Is Hottest). And we also see how Corrie and Clay are doing after the events of White Dog. My other current series is the Devil Springs Cozy Mysteries. This is a five-book series, with a small collection of short stories. And where else would it take place but in Kentucky? This series is a connected world to Bourbon Springs and Bourbonland. The next Devil Springs book, A Devilish Deceit, released March 26, 2019. Check out the series’ Pinterest boards, find me on Facebook, Twitter, and Instagram. On some book pages you’ll find music playlists. I also have fun stuff for sale with logos from the books on CafePress and Zazzle. You can find small flasks with the Old Garnet logo (the bourbon made in the fictional Bourbon Springs, Kentucky) and a T-shirt taken right from the pages of the books (It’s Better With Bourbon). 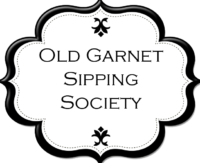 Join my Facebook readers group, the Old Garnet Sipping Society, to chat about the books. I post excerpts, updates about the books and stories, and inspiration for places and characters.